The Royal Cliff Grand Hotel & Spa is a 20-storey “Grand Hotel” in every sense of the word, from its atrium lobby with fountain and stunning chandelier, to its stylish guest rooms with marble bathrooms and the sweeping surves of its large, sea-facing balconies - which even have their own shower for cooling off! 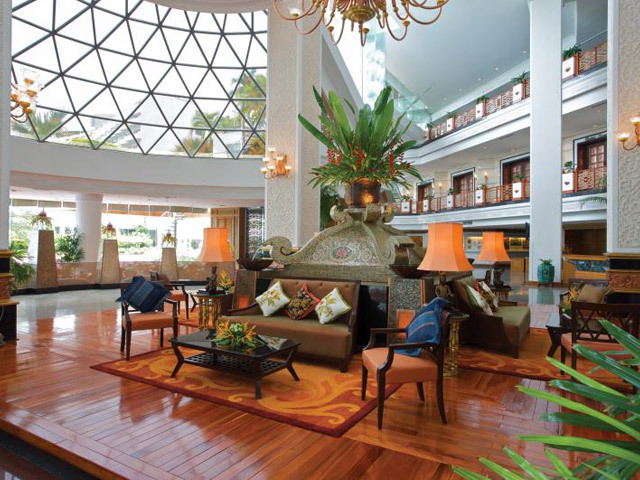 The hotel was designed to accommodate the needs of the sophisticated traveler with its elegant design and modern features. 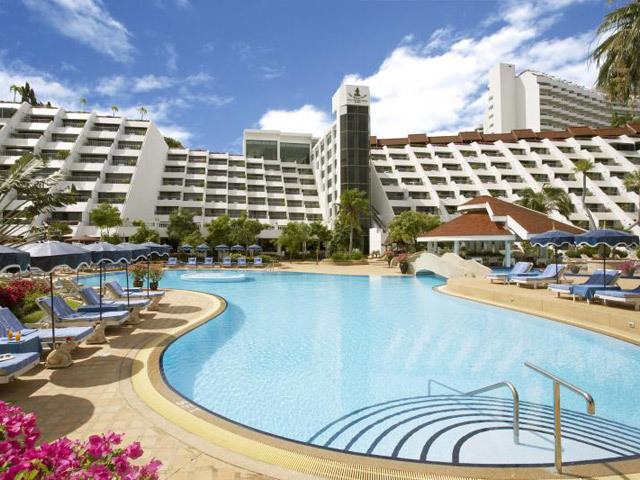 Guests at the Royal Cliff Grand Hotel & Spa have exclusive use of its beautifully landscaped swimming pool and sundecks as well as the Lotus Club Lounge where they can enjoy daily complimentary Continental Breakfast. 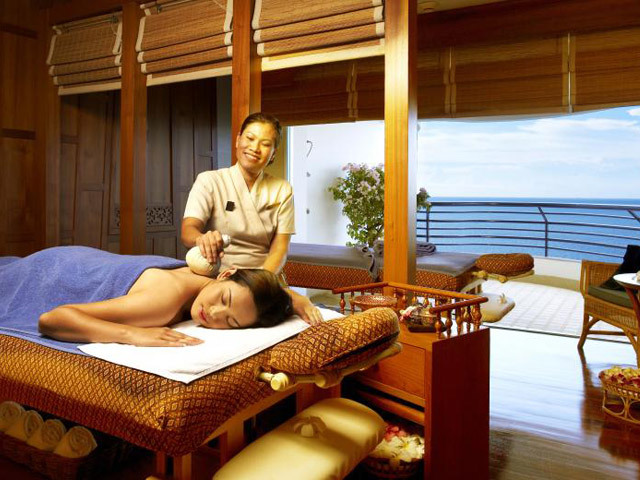 The Spa offers a wide range of traditional and modern treatments. Situated between Jomtien and Pattaya in a 64-acre private, gated, parkland estate overlooking the turquoise waters of the Gulf of Siam, the multi award-winning Royal Cliff Beach Resort is a totally self-contained luxury beach resort offering a choice of four 5-star hotels each with its own distinct style and ambience: from cheerful and vibrant to secluded and tranquil, from refined and elegant to exclusive and luxurious. 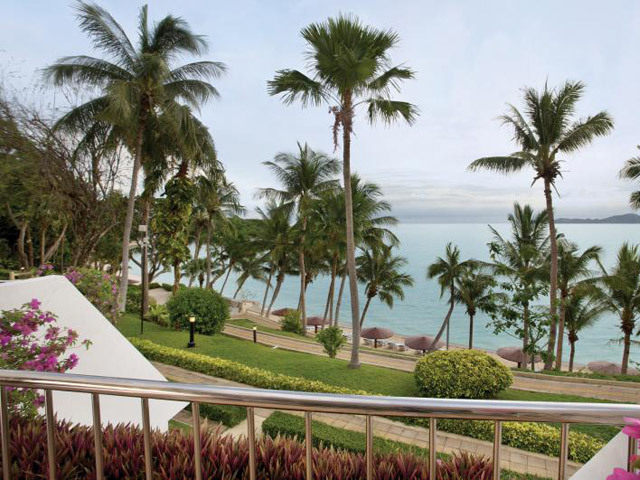 Pattaya is located southeast of Bangkok along the East Coast of Thailand. 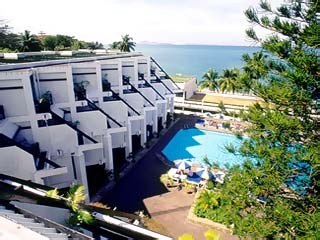 The Royal Cliff Beach Resort is situated south of Pattaya about 5 km (approx. 5 mins by car) from the city centre. Suvarnabhumi Airport, Bangkok to Pattaya: 135 km (approx. 90 mins by car), Pattaya to Bangkok: 145 km (approx. 2 hours by car). 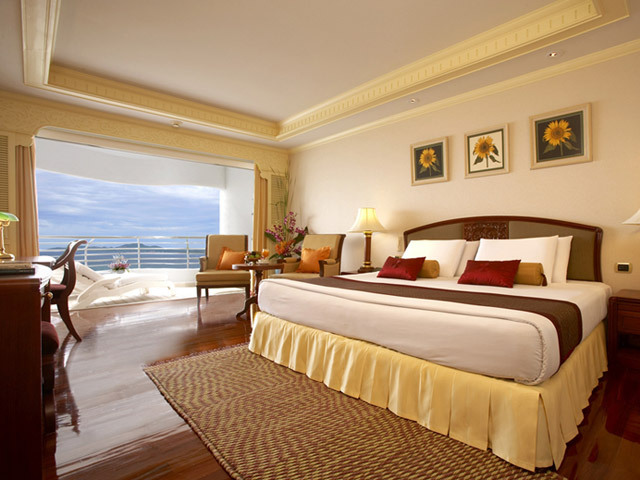 Club Sea View Room & Grand Club Sea View Room: Decorated in elegant and modern simplicity, the Club Sea View Room and the Grand Club Sea View Room feature a spacious marble bathroom with separate walk-in shower and double wash basins. 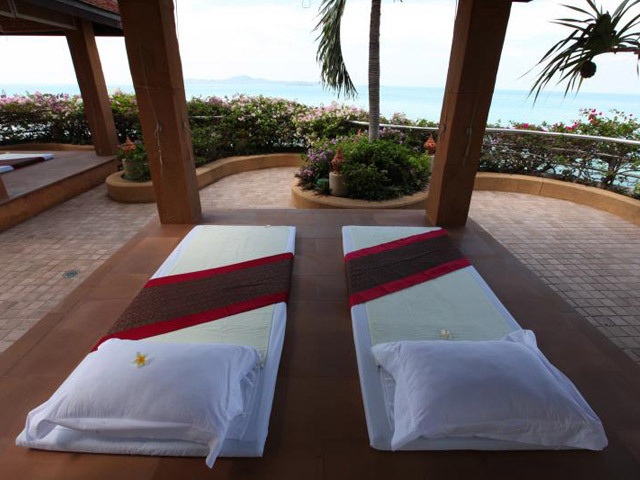 The sea-facing balcony has 2 sunloungers and a shower and offers fantastic view of the Gulf of Siam and Koh Larn (Coral Island). 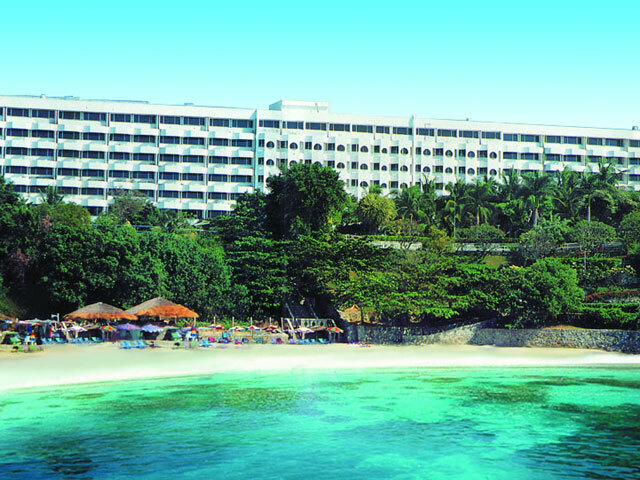 All Club Sea View rooms and Grand Club Sea View Rooms have been refurbished with new flooring, new linen, new furnishings and mood enchanting lighting. 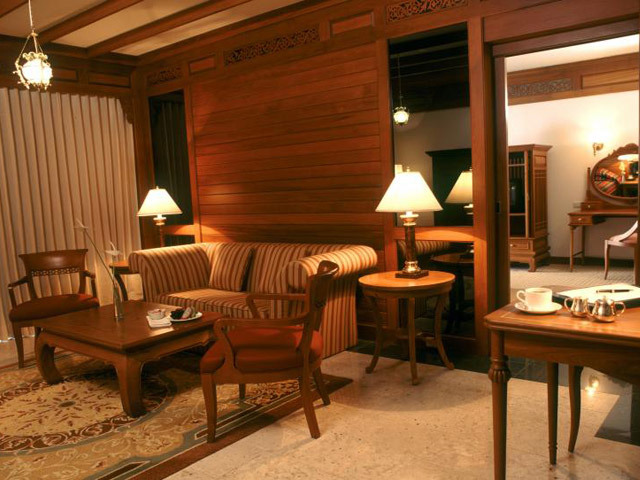 Junior Suite: The wood panelling complemented by elegant decor provides a sophisticated ambience to the lounge with dining area of the Junior Suite and extends to the bedroom, which has a spacious marble bathroom with separate walk-in shower. 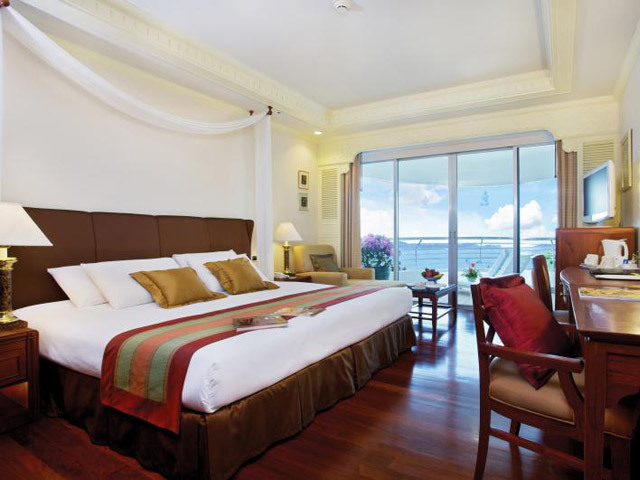 All rooms open up onto a sea-facing balcony, which has 2 sunloungers and a shower. Regency Suite (1 bedroom): The elegant 1 bedroom Regency Suite features a bedroom with a king size bed and a luxuriously large marble bathroom. 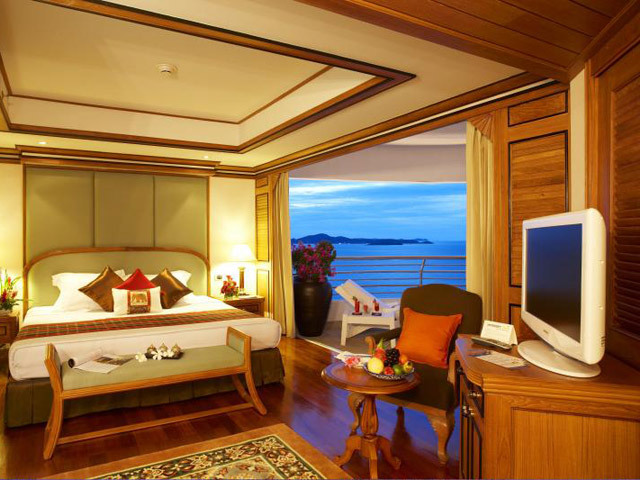 The bedroom opens up onto a lounge with dining area and is fronted by balconies offering panoramic views across the resort and the bay. There is also a guest toilet adjacent to the living room area. Regency Suite (2 bedrooms): Classically designed with modern sophistication, the 2 bedroom Regency Suite comprises a large master bedroom with king size bed, walk-in closet, anteroom and luxuriously large marble bathroom with separate walk-in shower. The second bedroom is a Grand Room with Hollywood twin beds, private bathroom, balcony with sunloungers and its own separate entrance. 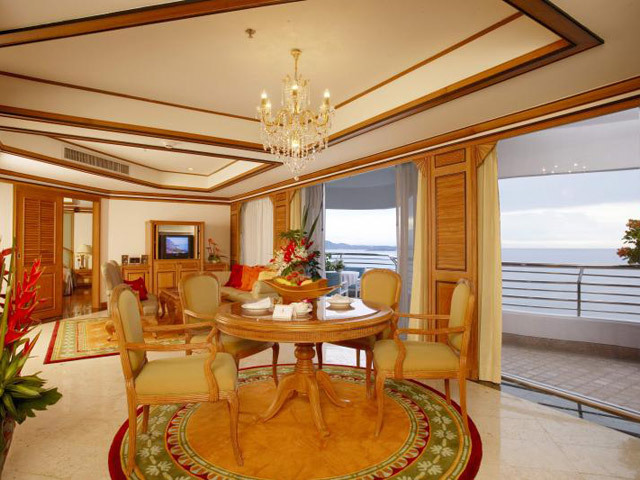 The Regency Suite also has a lounge with dining room area and balconies offering sweeping views of the bay and islands. 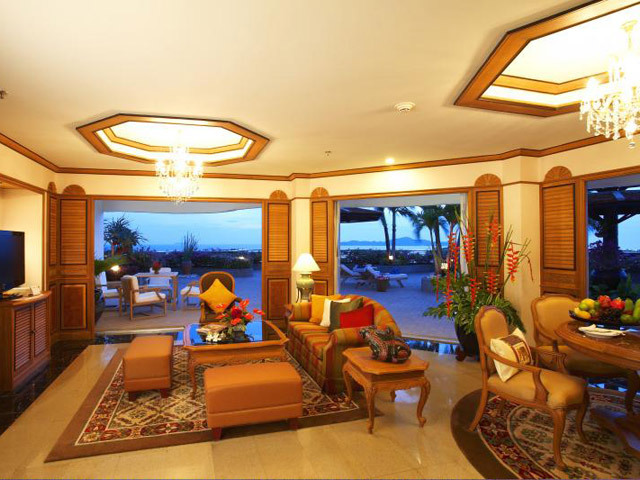 Royal Suite (2 bedrooms): Decorated with elegant and exquisite furnishings, the Royal Suite comprises a lounge with dining area, large master bedroom with king size bed, walkin closet, anteroom and luxuriously large marble bathroom wth separate walk-in shower. The second bedroom is a Grand Room with Hollywood twin beds, private bathroom and balcony sunloungers, as well as its own separate entrance. 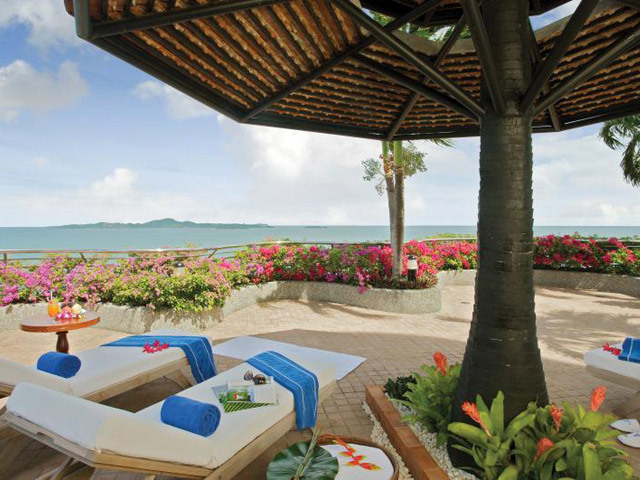 The Royal Suite has a large terrace adorned with colourful tropical plants and is the ideal setting for an exotic cocktail party against a spectacular view of the bay and islands as a backdrop. 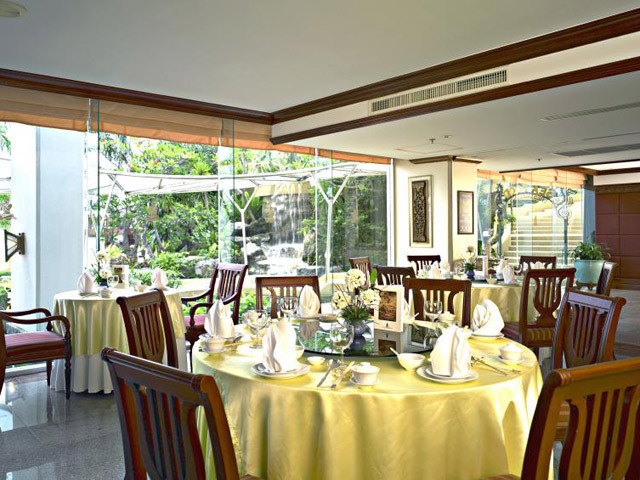 Royal Cliff School of Thai Culinary Arts (Thai cooking classes by the master chefs). 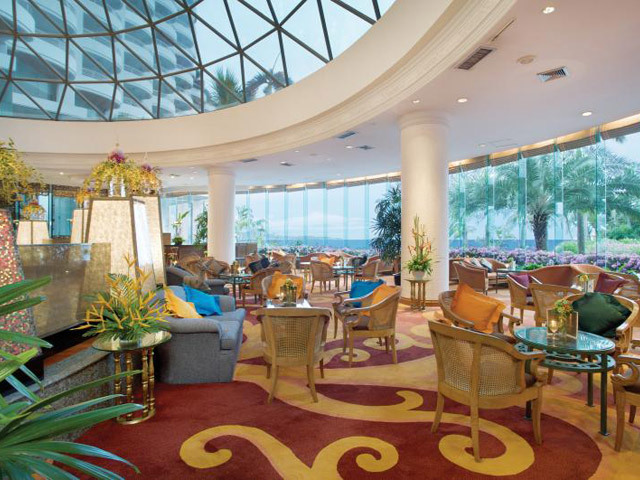 Extensive meeting facilities including 3 ballrooms, a total of 54 meeting rooms including the Pattaya Exhibition and Convention Hall (PEACH) : a multipurpose convention and exhibition centre (hall divisible into 9 separate sections) with a capacity for up to 8,000 persons in theatre-style seating, Comprehensive incentive programmes available. 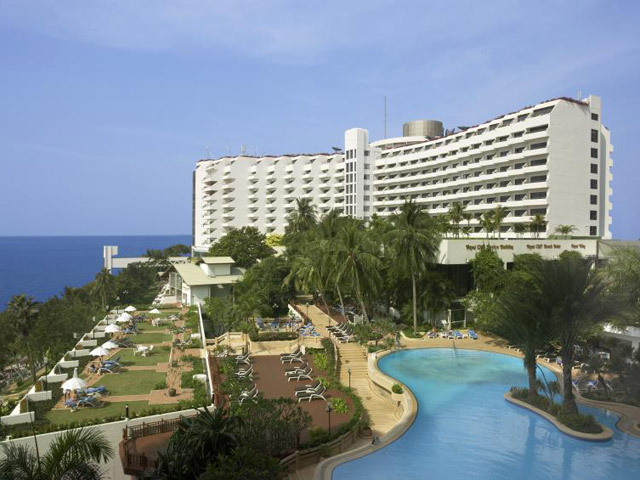 Dedicated conference & incentive specialists based at the resort. 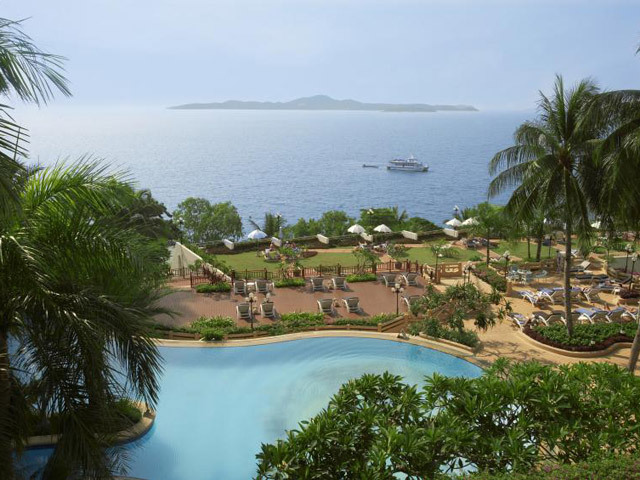 Located in both the Royal Cliff Grand Hotel & Spa and the Royal Wing Suites & Spa, the Cliff Spa offers a full range of health and beauty treatments including facials, body and Ayurvedic treatments, massages, deluxe and full day spa programmes, all in the privacy of 18 treatment suites. Seating: 48 pax air-conditioned; 108 pax al fresco. 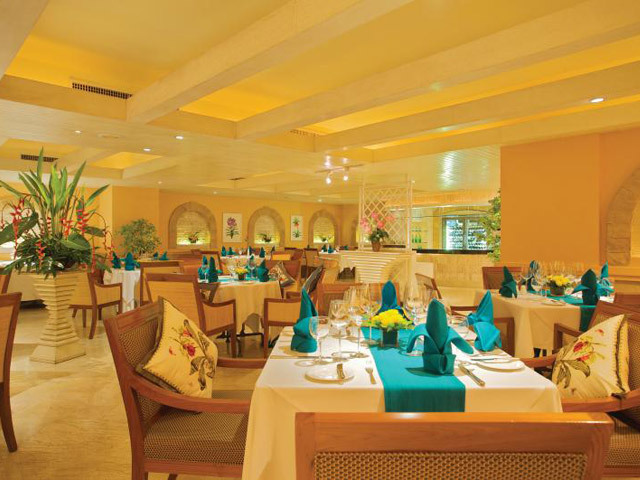 Perfect choice for elegant Chinese dining and Cantonese specialities. Dishes prepared by Hong Kong chef. 4 VIP Dining Rooms are available. Seating: 190 pax air-conditioned; 100 pax al fresco. 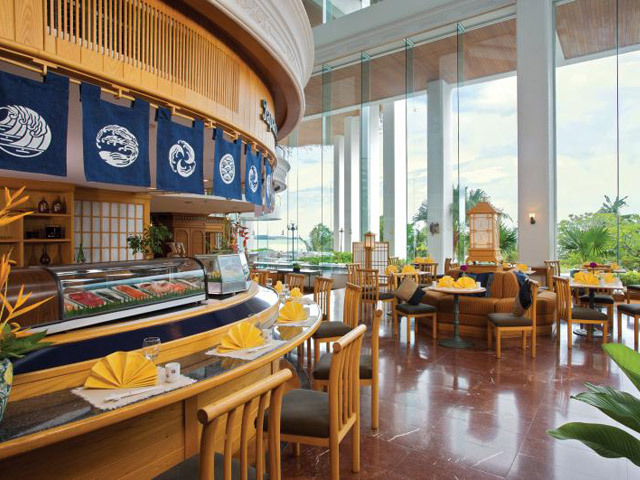 Offers a wide array of sushi and sashimi specialities and other Japanese favourites. The Eastern Seaboard’s definitive “ristorante Italiano” serving authentic Italian regional cuisine and home-made pasta specialities. 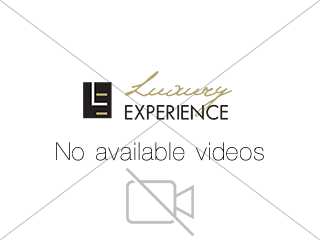 Showcases over 900 Fabulous wine labels in its award-winning wine list. Seating: 54 paxair-conditioned; 50 pax al fresco. 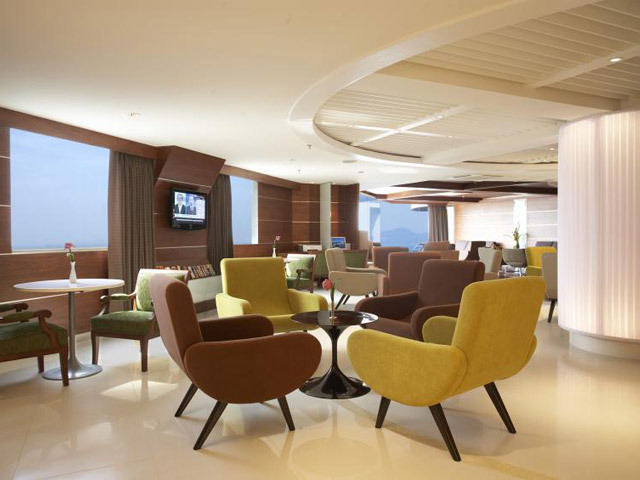 The perfect place to unwind after a hectic day. 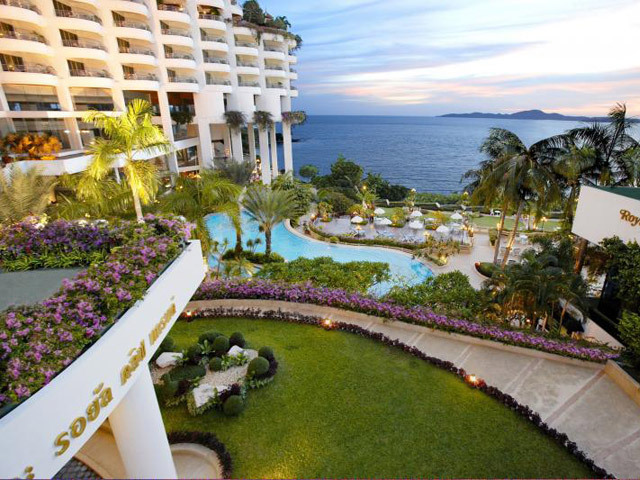 Experience breathtaking sunsets or be serenaded all night by the resident pianist. Take advantage of the Happy Hour from 17.00- 19.00 when you can get two drinks for the price of one.